The sandwich floor at the bottom of the Mercedes-Benz B-Class first appeared with the introduction of the A-Class in 1997. At the time, Mercedes stressed that the floor’s design was for crash safety, allowing the engine and driveline components to slide under the forward occupants in an accident. To the current point, the Germans said this design would one day be suitable for fitting alternative powertrains in mainstream cars – like batteries for an electric vehicle.It took 17 years, but the evolution of that design exists today in the fully electric Mercedes-Benz B-Class. The result is a fine electric car with one major flaw. We’re talking about the absolutely confounding charger. Two cords emerge from either side of a box containing about 10 pounds of electronics, a three-prong plug at one end, the J1772 charger at the other. The problem is that the prong cord is roughly 18 inches long, so if an outlet is more than that high off the ground the plug has to support the weight of the electronics box. Countering that, the charger cord is coiled, and its tensity tugs on the 10-pound box unless you can park the car right up next to the outlet. Since Mercedes’ instructions nix extension cords, we recommend public chargers. We could only ever get the car to charge to 67 miles, not the EPA rated 85 miles. Even when parking right next to an outlet in our home garage, we have to crack the owner’s manual to decode the flashing lights on the charger box. It is as intuitive as the Wookie language.Plus, there’s no onboard monitoring system. When the car is off, the only in-progress indicator is on the external charger. On the contrary, the Volkswagen e-Golf has a readout in its gauge cluster that tells you how much range remains and how long until the battery is fully charged – even when the car is completely powered down. There are also indicator lights beside the car’s port. The B-Class ED requires you to put the key in the ignition and turn to the accessory position to determine the range. 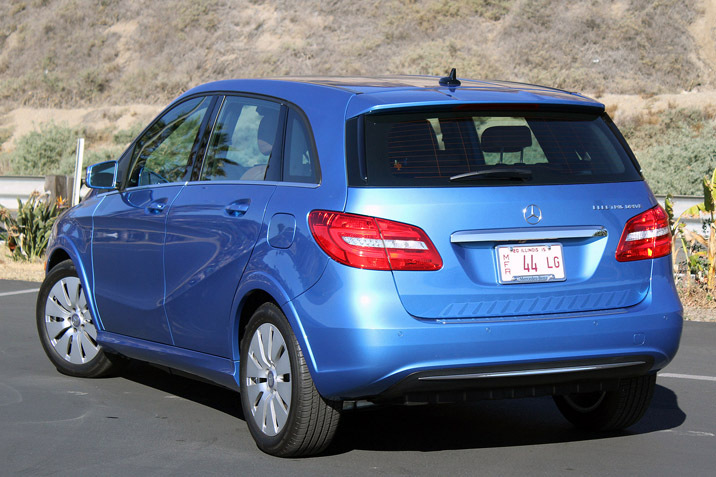 The EPA rates the B-Class’ range at 85 miles, but we only manage 67 after a full charge. 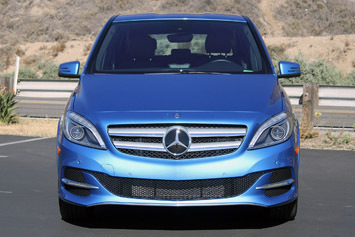 Mercedes says the vehicle factors in the habits of the previous user. It was delivered to us with a 67-mile range, and after five days of mixed driving and three charging sessions it still topped out at 67 miles. You can press a button on the center console to unlock 15-percent more capacity from the battery. That would still only get us to 77 miles, and using that Easter egg diminishes the ultimate service life of the battery. We really like tooling around in the B-Class ED. All these gripes concern charging, the only task that dampened our enthusiasm for the performance of this car. The maximum range conundrum could be considered a serious issue, but if this were a customer car a dealer would rectify that quickly. The other issues are minor – a private owner will surely have a home charging solution that doesn’t require AMC Theaters.Otherwise, we really like tooling around in the B-Class ED. It’s seriously small, but has tons of passenger and cargo room. Headroom is excellent throughout; rear legroom is cozy. This car feels premium inside, well-built and well-finished, although the seats come off as oddly modern and luxurious in contrast with the time-capsule furnishings elsewhere – many of the B’s controls were introduced on the 2004 C-Class. The front seatbacks are even fitted with super-Euro-style tiny trays, which are excellent if your aft passengers dine mainly on chicken wings or breadsticks. Hitting 60 miles per hour takes less than eight seconds. We love instant torque. You get the equivalent of 177 horsepower and 251 pound-feet from the 28-kWh battery and 132-kW electric motor, which is more than enough power to overwhelm the 225/45R17 tires. Floor the throttle, the back squats, the front wheels momentarily skooch beyond the limits of traction, and the thing takes off. Hitting 60 miles per hour takes less than eight seconds. We love instant torque.You can use the steering wheel paddles to control brake regen, and they work as advertised. But it’s much more relaxing to leave everything in auto mode and let the radar handle it – a $350 option. This slows the car automatically when it detects traffic ahead, but it won’t bring the vehicle to a complete stop. 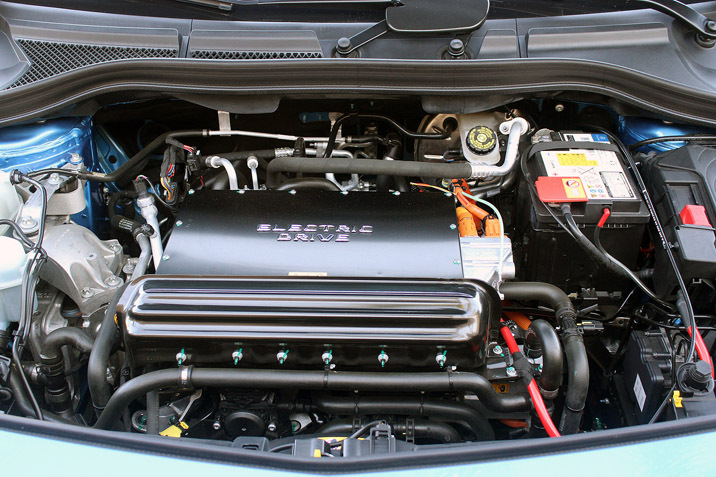 Electric propulsion offers so many secondary benefits in this kind of compact hatch. The B250 is blissfully quiet inside, even at 70 mph on grooved California highways. Seamless acceleration and deceleration means never having to deal with the tidal motion of gearchanges. On-road manners are exceptional, judicious damping and a curb weight of 3,924 pounds keeping it more steadfast at speed than the usual diminutive runabout. And it’s got the turning circle of an RC car. For the early morning canyon workout or long-distance bombing run to Phoenix, give us at least eight cylinders, 80 decibels, and a firecracker overrun. But around town for groceries and get-togethers? The electric B-Class is wonderful. The B-Class is a charmer, but so are all its cheaper, easier-to-charge competitors. One more glitch: the price. 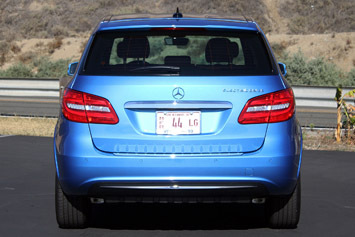 Most of the reason we relish the B-Class Electric Drive is because we relish electric cars, period. 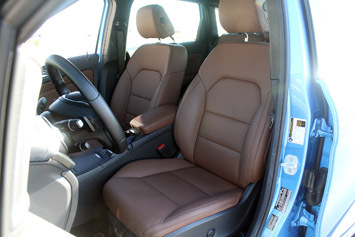 Base price is $41,450, and our tester has luxury options that run it to $52,930 out the door. The only competition at that price is the BMW i3, which starts at $42,400, but the Bimmer is so incredibly chic that it feels like it’s in a totally different class.Back to the e-Golf, then: the SE trim is $28,995, the SEL Premium is $35,595. With the B-Class, it’s hard to justify the tariff for a slightly nicer interior, fractionally more headroom and cargo space, and less range. And frankly, if Chevrolet can really deliver on the price and range estimates for the Bolt, then then the i3 is the only EV left to consider and this discussion is over.